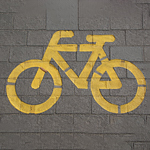 As bicycles continue to increase in popularity as a way to get around cities, drivers need to develop good habits to share the road with them safely. Observing local traffic laws and learning to anticipate cyclist riding decisions can help keep the roadways safe. Safety tips for driving on roads with cyclists include common sense precautions like driving the speed limit or slower to give yourself plenty of time to react. Always look twice before beginning a turn, and give bicycles at least a three-foot clearance when passing them. At Ferrari of Austin, our friendly sales staff is ready to help you with any questions you have about the vehicles we have in our inventory. Feel free to visit us at our showroom and take the vehicle of your choice for a test drive today.